Agamben's thought has been viewed as descending primarily from the work of Heidegger, Benjamin, and, more recently, Foucault. This book complicates and expands that constellation by showing how throughout his career Agamben has consistently and closely engaged (critically, sympathetically, polemically, and often implicitly) the work of Derrida as his chief contemporary interlocutor. 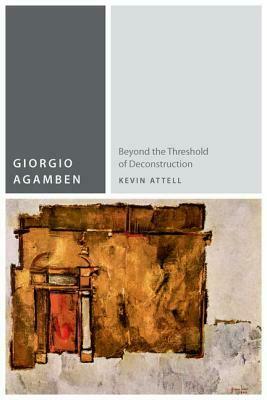 The book begins by examining the development of Agamben's key concepts-infancy, Voice, potentiality-from the 1960s to approximately 1990 and shows how these concepts consistently draw on and respond to specific texts and concepts of Derrida. The second part examines the political turn in Agamben's and Derrida's thinking from about 1990 onward, beginning with their investigations of sovereignty and violence and moving through their parallel treatments of juridical power, the relation between humans and animals, and finally messianism and the politics to come.